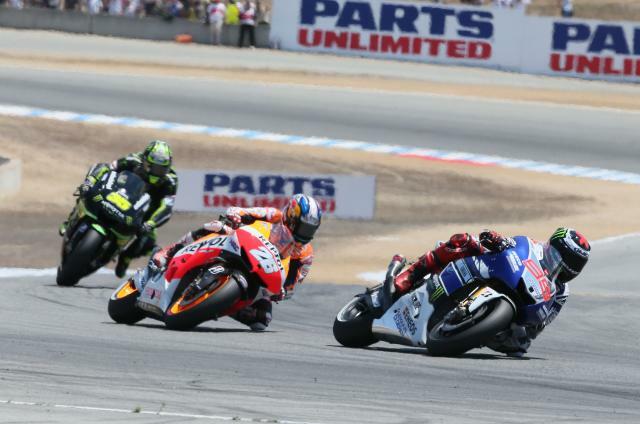 BOTH Dani Pedrosa and Jorge Lorenzo finished the US Grand Prix in respectable positions - fifth and sixth - despite suffering from painful collarbone injuries. Current MotoGP champion Jorge Lorenzo initially fractured his collarbone at Assen, almost four weeks ago. Since then, he's had another operation on his collarbone after crashing once again at the Sachsenring. This is also where Dani Pedrosa fractured his collarbone, but needed no surgery. Both had to withdraw from that German GP. Not even two weeks after his last surgery, Yamaha's Spaniard admitted to feeling light headed and dizzy during the 32 lap US Grand Prix on Sunday. Lorenzo explained: "I needed more air during the race and I felt quite dizzy from the middle of the race to the end so my performance was getting worse. Two operations in one month and no training means that at this level what I did today was unbelievable." However, the Mallorcan rider also added that the bike was not working the same as it was in warm up and he didn't want to take any more risks: "The important thing is that we saved a very dangerous situation because if I crashed again I might have finished my championship." 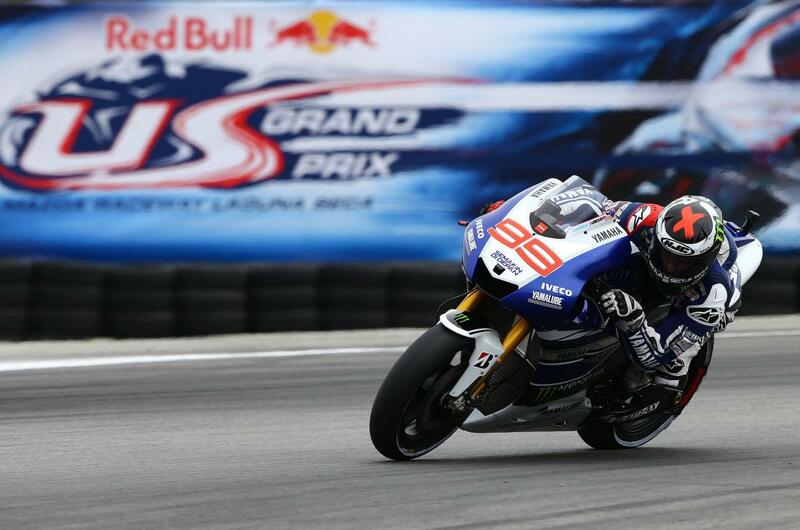 Lorenzo gained 10 vital points, but is now 26 points behind championship leader a Marc Marquez. Yamaha Factory Racing's Team Director Massimo Meregalli praised Lorenzo: "Jorge I think proved again that he is really tough and determined. He could manage to finish sixth even with a lot of pain after his surgeries." However, the race was far from easy for the injured HRC rider either who managed to take away 11 points. 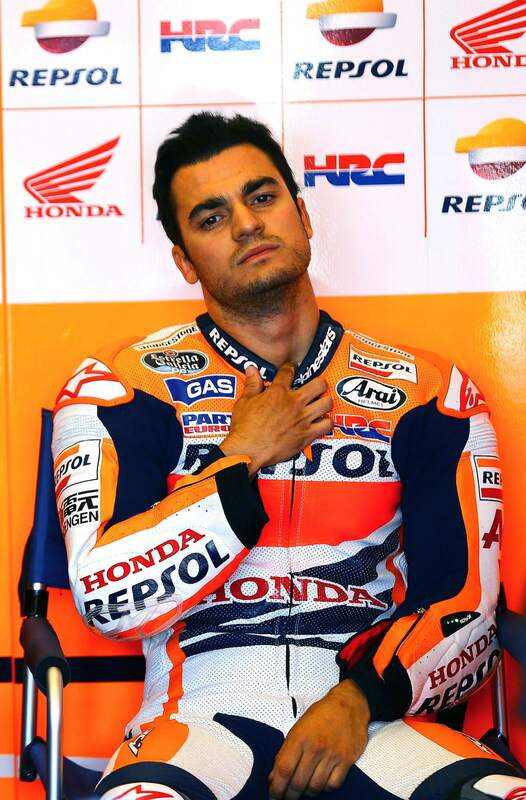 Pedrosa, who decided to sit out FP1 and FP3 said: "I was seriously considering sitting out this race, because the conditions were very difficult, so I am very happy to have taken fifth." 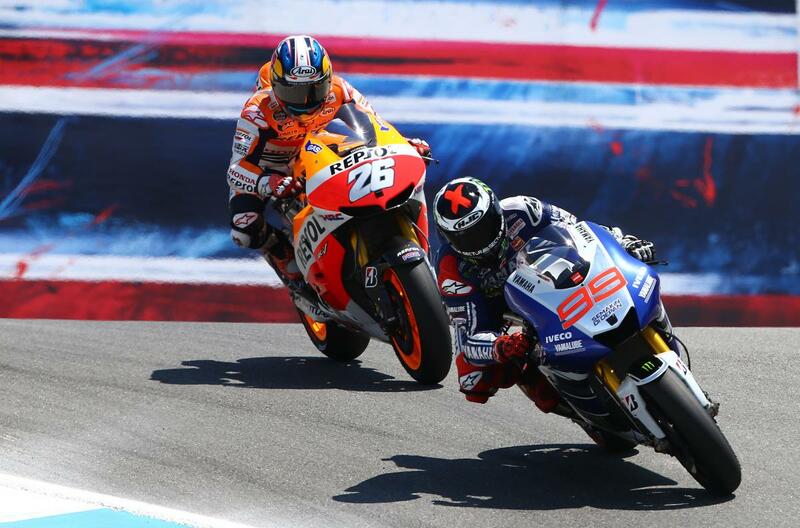 Dani is currently second in the championship, 16 points behind team mate Marc Marquez and 10 points ahead of the reigning MotoGP champion Jorge Lorenzo.